This entry was posted in Comet Archives, Films and tagged Arise My Love, Cary Grant, Citizen Kane, Claudette Colbert, Close to My Heart, Ernie Pyle, Everything Happens At Night, Foreign Corespondent, Gary Cooper, Glenda Farrell, His Girl Friday, Joel McCrea, Joseph Cotton, Laraine Day, Lifeboat, Martha Gellhorn, Meet John Doe, Mr. Deeds Goes to Town, My Dear Miss Aldrich, Never Let Me Go, Objective Burma, Orson Welles, Phildelphia Story, Ray Milland, Robert Mitchum, Roman Holiday, Rosalind Russell, Story of G.I. Joe, Teachers Pet, The Sell Out, Torchy Blaine by Jnpickens. Bookmark the permalink. Thank you! I’m really excited but a little nervous too. Good luck, Girl Reporter! 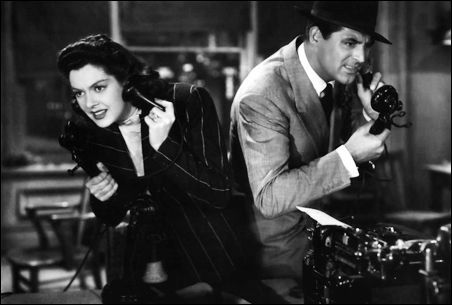 And thanks for the wonderful list… I always loved His Girl Friday for the fast-paced back-and-forth. Best wishes for an easy transition and congrats on the new job! P.S.) I love the new website! So cool, congrats! I’ve been trying to get a decent job as a journalist since I finished uni, with very poor results. Now I’m getting a certificate on Digital Journalism to expand my chances. So I get your excitement 🙂 And cool you mentioned “Arise my love” as a “good mix of romance, adventure and journalism”, I love it for the same reasons 🙂 I also like “The teacher’s pet” for its very journalistic content, and well, all your list (although I need to watch some of them). Good luck, girl! “Arise my love” is so great! I like “Teachers Pet” too. It’s been awhile since I’ve seen it, so I didn’t want to write up about it, but I love Doris Day! Go Hildy, I mean Jessica! Follow your dreams! congratulations – also liked your great list! There’s also the White House Press Corp as portrayed in “Mr Smith Goes to Washington” – a journalist job to aim for! Good luck with your new job. I’m thrilled for anyone who can land a job in this economy. Be sure to spread the classic movie love to North Carolina. 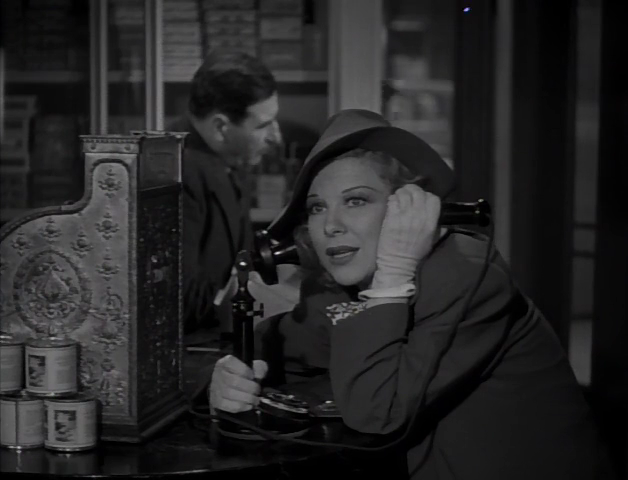 If you ever get a chance to see Bogart’s “Deadline U.S.A” do so. It’s from 1952 and is a real corker of a newspaper movie. I def. need to see Deadline USA. I kept coming across it last night and thinking how I should see it. Congratulations! I’m looking in to writing, as well. What sort of stories will you be covering?? Thanks Kendra! Its a general assignment reporter position so I guess a bit of everything-crime, school board, feature stories, etc. Congratulations on your new job! I’m sure you’ll be great. 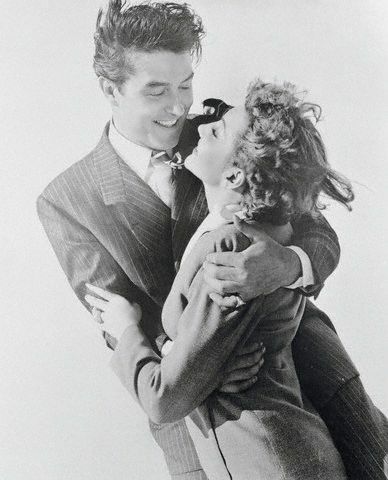 Now all you need is a copy of that striped Rosalind Russell suit from His Girl Friday and you’ll be set. In lieu of closing remarks, I will leave you with this Lois Lane cartoon. Thanks Rachel! Haha I love an outfit like Rosalind wears. Good deal! I don’t think Elkin is too far from Mt. Airy. I wish you all the best. Thanks for recommending Torchy Blaine! Congratulations, especially for sticking it out! Back in my cubicle days I so wanted to work editorial and wound up in the advertising department of a big magazine instead. Never got out and just left of my own volition eventually, so a huge thumbs-up to you for being able to cross-over like that, I’m sure it wasn’t easy! Mucho congrats on the new job. And now you’ve got me wondering if Torchy Blaine is on DVD. I love it, even if only for the name alone! Thanks Martin! I’m not sure about Torchy, but I think the Warner Home Collection recently released some of them. 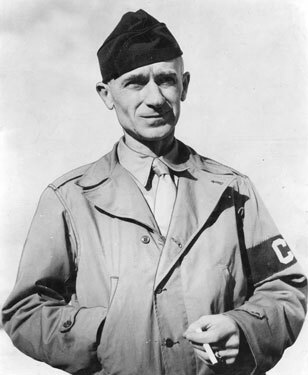 Belated congratulations on becoming the Torchy Blaine of Elkin! I’ll sharing this page with my students this fall to show them you don’t have to be a 60-something ex-reporter to like black and white films.